Camp, Paddle, Sail Poole Harbour April 2017? Thread: Camp, Paddle, Sail Poole Harbour April 2017? Would anyone be interested in a weekend of Camping, Paddling, and Sailing in/around Poole Harbour April 2017? These tides are fairly gentle with the low tides being not 'too' low - the tidal flows would be good for shorter paddles around the islands and subject to the weather out of the harbour to Old Harry too. 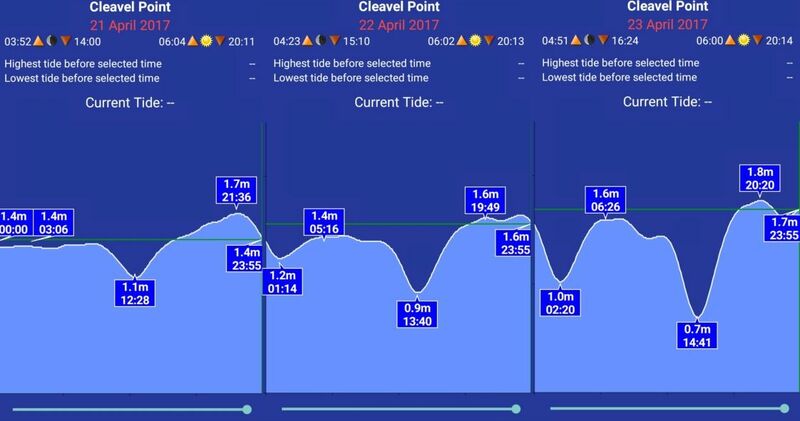 These tides are effectively 'springs' and as such the low tides are VERY low (we may even be able to see and walk on the Iron Age causeway to Green Island) - there will be plenty of mud visible in Newton Bay, but landing and launching should be possible from the tip of Cleavel Point once we have 1 metre of water. HOWEVER, these tides are very suitable for a trip up the harbour, maybe to Wareham or up the River Piddle. Last year we had low water in the middle of the day – similar to that predicted for 22/23 April 17 and so we know this would work , we could get out in the morning and get back out in the afternoon. I suggest provisional working dates of 21 to 23 April 2017 (probably with opportunity to extend a bit I know some did last year), obviously dependent on site availability - have tried to check but it just goes to answer machine, will email when I find the address. Now that we (i) am a bit more familiar with “the lay of the land”, and the way to the badly signed site, Err..,and I found the proper/better stand pipe after most had left last year (near big tree top of field) – sorry, it wasn’t obvious , we could maybe consider a bit more organisation, sat night beach BBQ anyone ? (Now we know there is a small beach) and we can, weather dependent of course, try for the Friday night cross harbour fish and chip run that was weathered off last time. Anyway you know the routine; names on a list below please - ideas, suggestions as per normal; graciously received. Yes. Please Steve, we had a great time last year " mudlarking "
I have made contact with the site and made a provisional booking for the weekend of 23/24 April, this won’t be secured until a deposit is paid (£50) – they want this before the end of the year – I will sort this if/when some more interest is shown. The price will be £7 pppn, and this year they want some money in advance (4+ weeks before the booked date) – again I will sort this nearer the time when I have a better idea of numbers, I asked about later additions and that won’t apparently be a problem; I will just have to collect any additional monies like last time. I asked about a better portaloo and again this will be sorted nearer the time – cost to be advised. I am guessing that the new management company had a bit of trouble last year? As they were quite interested in who we are and our ages (they are reassured), they reiterated the need to not burn the grass (the owners have apparently complained – nothing to do with us) and said that we would be visited (by them) during our occupancy, I assume to count numbers and stop us running amok (so we can look forward to that)? Interesting to hear of a better tap! The tip of Cleavel Point (past the fence) is actually owned by Brenscombe Outdoor Centre, hence the 'Big Canoes' being stored there and a representative of that Company is a member of the SotP Facebook group, so presumably here too... Jonathan Ray? Jonathan wrote this when I made contact back in October, don't know if its of any interest to the sailing group? "I ran a British Canoeing Coaching matters course on canoe sailing last weekend - Cleavel Point & Poole Harbour are ideal for that. Sotp can give it a go next time they come." Keeping an eye on this, but can't commit right now as our annual Scotland trip dates aren't yet confirmed. If we're back, I'm definitely interested! Just a tentative enquiry at present; Are caravans allowed and is there electric hook up ? sorry Old Man, they appear to have a downer on caravans on Cleaver Point- last year they did offer pitches at the main site for caravans and electrical hook-ups - that is about 5mins away from Cleavel Point field (when u know the way) - this was by special arrangement (although no one took up the offer) as the main site wasn't open (they were installing some cabins) don't know the score this year but I will check and let you know. but to clarify for all; there are no facilities at Cleaver point field except a tap that we didn't find last time and a portaloo that we will have to arrange, the site manager also advised against any large vehicles due to the size of the private roads (code for gate required), don't know why as i don't think any of the motorhomes had any trouble last year? the track though is very rough / pot holed / rutted in places and has to be taken slowly. thanks gents for the early interest - if Ted, Chris and I do 3 might's and Adrian a couple that would more than cover the cost of the required deposit - so I will book the site sooner rather than later. 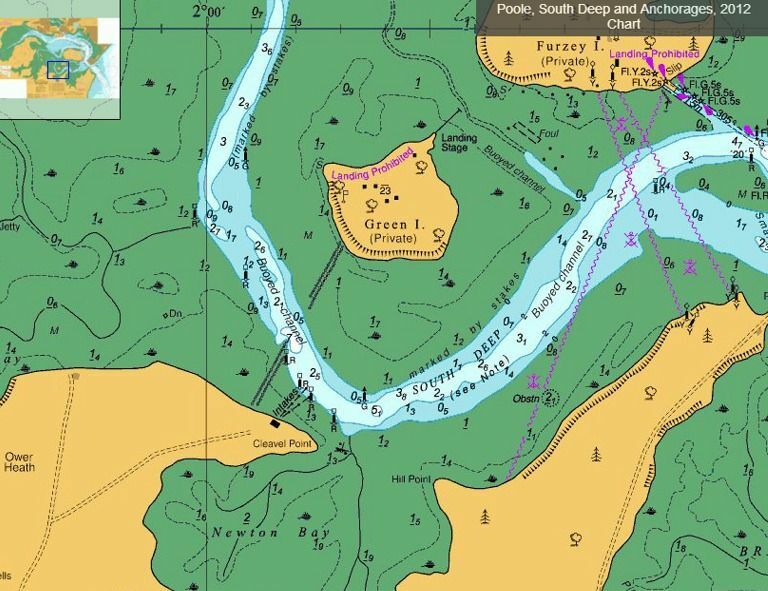 Of course (subject to the wind), there is a still the possibility of doing a Friday, or Saturday afternoon paddle to Wareham for a Fish & Chip supper, with a paddle back in the early evening - Sunset isn't until 20:11 on the Friday, 20:13 on the Saturday. Navigation is not a problem, but every boat would need to have a white light. Have made a HUGE blunder... this is the wife's birthday weekend - there's no way I'm going to be allowed to head out canoeing and camping! "THE wife" Adrian, surely you mean your Beloved. wives have been known to check hubbie's posts before. You could be grounded for weeks. A little grovelling. might be advisable. Kerrie's not really into camping or canoeing unfortunately - a campsite is tolerated, but only with hot and cold running water and hot showers on site too! It is the final weekend of the Easter holidays here in Dorset, I have nothing planned for either of the next two weekends, but don't forget 1st May is a BH - this may work as an advantage or disadvantage? thanks Adrian, thanks Ted - May Bank Holiday - forgot about that as well, I will ask the site it that places any further restrictions on site availability. Anyone else want to venture an opinion? all are more than welcome. Any update on this Steve, I'm keen to open up the invitation to PHCC once the date has been confirmed. I'd like to join you for this one as I missed it last year. Is Poole Harbour OK for SOTs? Will ask Helen if she is interested when I next see her. Am free any weekend in April at the moment. Apologies for extended silence (been away busy working) I will talk to the site and firm up the arrangements and pay deposits for the weekend of 21st, 22nd & 23rd April. Very much depends on the wind and the waves. Some scary moments last time (a few were in the canoe). site is now booked for April 21 - 23 so look at those diaries, get those permissions (work, carer, keeper, wife's (Er.. partners, husbands, mistresses, lovers) probation officers, gang masters etc) and get your names on the list - please; so I don't suffer activity organization anxiety (AOA it’s a real thing, - support groups and charities should be formed…). Myself and the good wife would like to attend if thats OK for the nights of 21st and 22nd, Fish n Chip run and beach BBQ sounds good. 6. Chris and Jeanette - Tent. Reading through all the threads makes me realise how much effort goes in to planning these meets. Thanks to the brave hearts who do it!! Sheila has spoken to me about the weekend and I am free to join in. See you in April. I came along last year with a Sea Kayak, but will be coming with Open Canoes and some sailing equipment this year. It was an absolute Hoot last year, and a great bunch of people. Hi everyone put me on the list Adrian 1 Friday till Sunday happy New Year everyone , Brian the bear won't be happy he won't be able to bring his new cave lol. Hello; I'd love to join you for this weekend please. Look forward to further updates! Have they banned caravans then? I can't see any problems getting caravans down that lane really as it's used by lorries etc. [QUOTE=Sirus;629966]Have they banned caravans then? I don't know either as there will be people in motor homes and sleeping in trailer's but who knows I suppose they have their rules and we must abide by them! Thank you people list updated – Sirus, Kmac?. are you coming along? “Please note we CANNOT ACCEPTCARAVANS due to a restriction on our licence” so I expect that their hands aretied? Er…Mr Sirus.” A trailer you sleep in is surely a caravan” No No No - a trailer thatyou can sleep in is most definitely a “Camping Trailer” any other description will likely attract premiumpitching fees (or cause the puter to say no) - though a placebo pop-up tent will alwaysbe carried to appease the licensing Gestapo/pitching police. I bet this one runs for a bit!! Er...I can live with 'small trailer tent' (that's what it was originally and incidentally that's what it still says the plate ) , though I think 'seeping pod' should be a unique category in its own right - but the proof of the pudding is ultimately in the eating, and as people keeping asking me what it is, I can only conclude that as it don't look like a caravan then it cant be mistaken for caravan thus it obviously isn't a caravan. You can see now why the Navy cost so much money with Uncle Albert was there  LOL. Is it a Escape pod out of a submarine ? , didn't know you used to build ships for Nelson woodworm that why there were shorter than the French ships lol ..
it is nice to see that the stretching out of the days is improving people's bravery and we are beginning to resume our usual level of insultery (made up word) Adrian1 if you got your Arris out of your place of residence you would have been able to witness said Pod and marvel at the ingenuity of it. Let me see !!! That Pile of stones they call Stonehenge people marvel that am I on the right road . if you want to publically squabble that ok as it saves me the trouble of having to find excuses to shamelessly bump the thread. I have found myself in the same boat as Adrian0. Booked the weekend off all the time with the nagging doubt in the back of my mind that that date rang a bell. I have been warned that if I go canoeing on her birthday we will not be celebrating our anniversary next year. Those who can count and those who can't. Thanks Adrian, nearer the time when we know the weather and maybe have some idea of peeps arrival times I am sure that there will be some takers. I am interested in this trip if I am not busy elsewhere because of the Easter holiday. shameless thread bump - still plenty of space (its a big field) and plenty of time to organise those diaries.